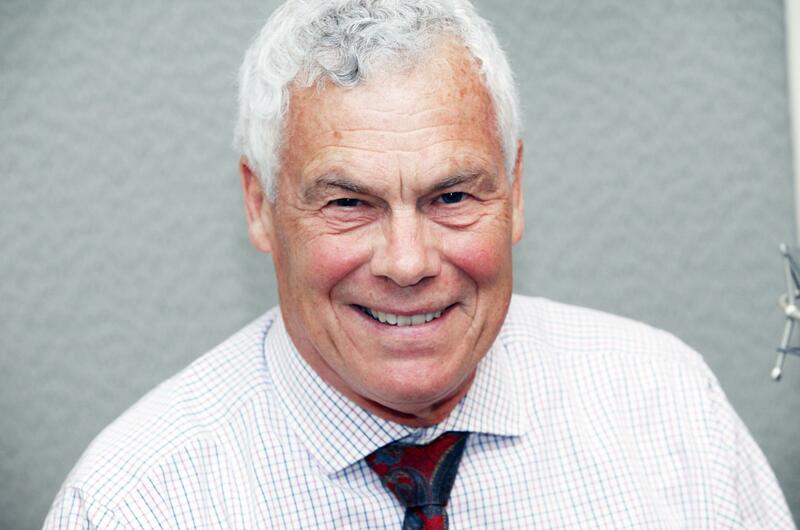 It's now a three-way race for Connecticut governor, as business advocate Oz Griebel has made it on to the ballot as a petitioning candidate. A recent Quinnipiac University poll showed that a large portion of registered voters hadn't even heard of Griebel, who lives in Hartford. He says he's running a retail campaign to make himself known. "Clearly the farther south you go...that's definitely a challenge for us," Griebel said. "But we've said from the outset that the way we will be known is through opportunities like this, talking to the media, continuing to build on the meetings that we've been having since last December in homes and places of employment, at places of worship, Rotary clubs and the like." Griebel's framing himself as an independent candidate, even though he didn't get the endorsement of the state's Independent Party. That nod went to Republican Bob Stefanowski. Some conservatives have pointed out that Griebel could be a spoiler. Speaking on Connecticut Public Radio's The Wheelhouse, Republican analyst Liz Kurantowicz said he could be a problem for the GOP. "The last time we had an outside candidate sort of spoil an election in a big way was when Joe Lieberman ran with his own party and kept Ned Lamont from being a United States senator," Kurantowicz said. "So, you know, maybe we'll see the same outcome this year." Greibel took issue with this idea. "How's the two-party system worked thus far?" Griebel asked. "The spoilers have been the two-party system that haven't been able to work together." Griebel is a former Republican whose running mate, Monte Frank, is a former Democrat. Griebel ran unsuccessfully in the 2010 Republican primary for governor.